Mainly sunny. High 67F. Winds WNW at 10 to 15 mph..
A few clouds overnight. Low 43F. Winds SSW at 5 to 10 mph. Jeanne Suzanne Rhome of Hermiston was born October 18, 1955, in Wilmington, Delaware, the daughter of Robert and Jeanne (Collings) Rhome. 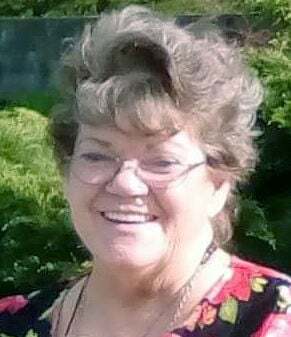 She passed away in Hermiston on Wednesday, April 10, 2019, at 63 years of age. Jeanne moved to California as a child where she attended school and graduated from West Covina High School. After high school, she worked as a registered dental assistant in Montclair, Calif. She later lived in the communities of Temecula and Murrieta, Calif. She worked as a waitress and operated a sewing business “Sewn From the Heart.” She attended Mt. San Jacinto College where she received her associate’s degree in computer science in 2001. She moved to Hermiston, Oregon, in early 2018 to be closer to her daughter. Jeanne enjoyed drawing, painting, baking and sewing. She was very artistic and creative and used her talent to create many beautiful things. She is survived by her daughter, Heather (Ken) Gilham; son Dean (Rachel) Ward Jr.; mother Jeanne Mildred Rhome; brothers Robert, Richard, Randy and Russell; grandchildren Andy, Jessica, Aiden, Bella, Elizabeth, Briana and McKayla; and many nieces and nephews and extended family members. She was preceded in death by her father Robert, sister Donna, and nephew Sean. By sharing a fond memory or writing a kind tribute, you will be providing a comforting keepsake to those in mourning. If you have an existing account with this site, you may log in with that below. Otherwise, you can create an account by clicking on the Log in button below, and then register to create your account.